Basically they are two apartments with double bed room and living room entrance. 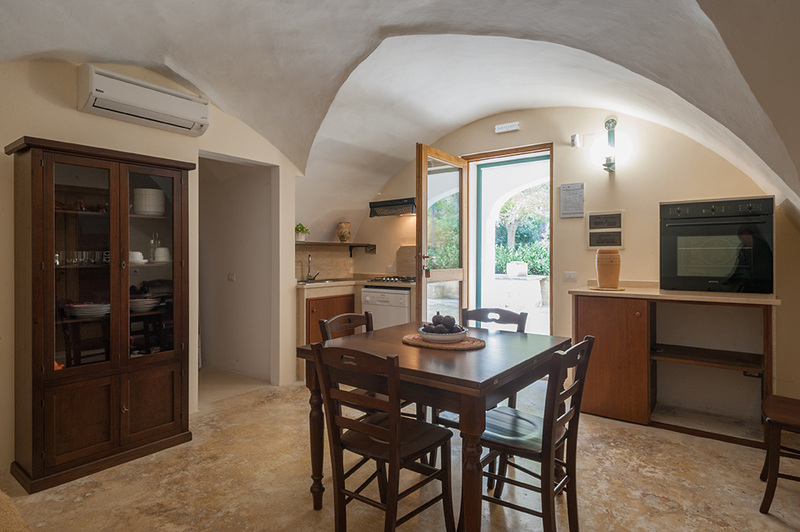 Beyond what is already specified, in addition to the normal complement of the apartments, the apartment n. 10 also has a washing machine, a dishwasher and an electric oven and the n.11-12 apartment has a washing machine. 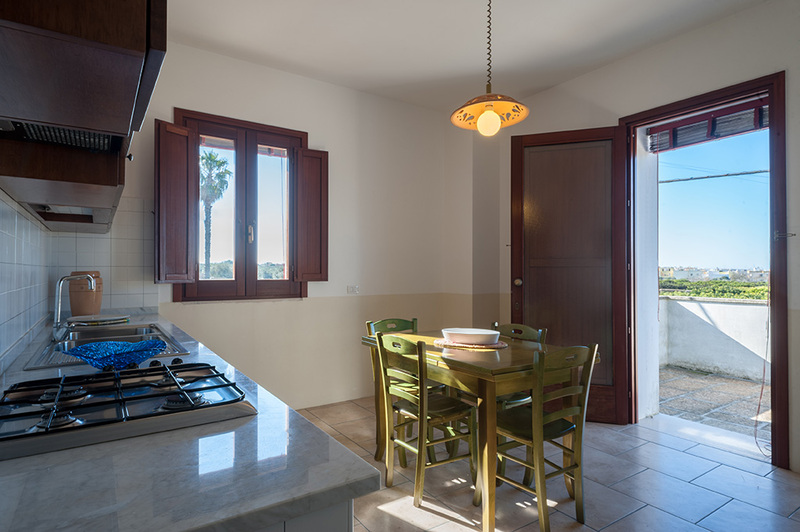 There are three one-bedroom apartments (n.20, n.21, n.22) in the first floor, with two or three beds each and they are exposed to the west with olive grove view and the rooms overview towards the sea. 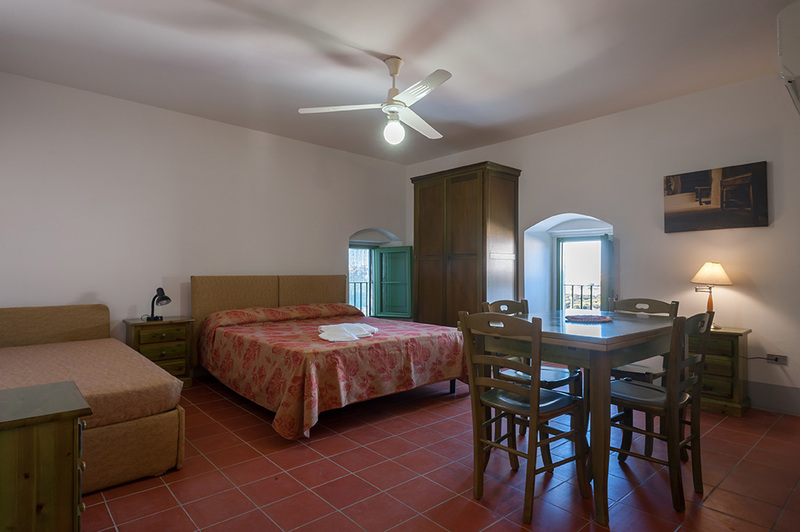 There is a ceiling fan in the double room, a table with four chairs and an air conditioner, a bathroom with shower, a single sofa bed and a kitchenette in the entrance room. 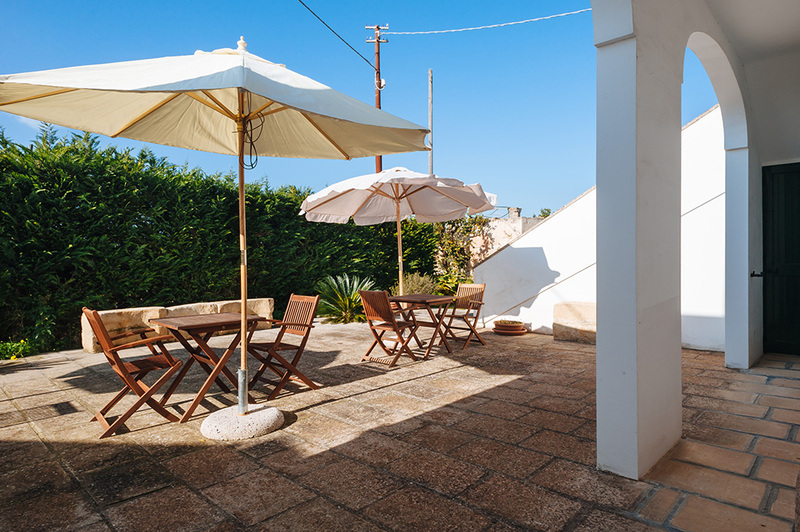 These rooms have staircase and uncovered balcony in common; a patio with tables and three umbrellas on the ground floor. 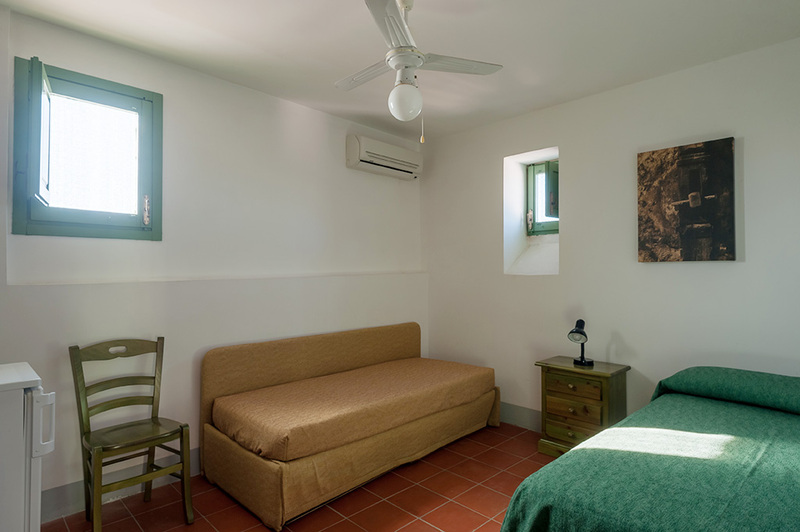 There are two studio apartments: n.40 has a double room with a ceiling fan and air conditioning and overlooks the farm with a big private terrace, bathroom with shower, kitchenette and, in addition to the normal complement of the apartments, this apartment also has a washing machine. 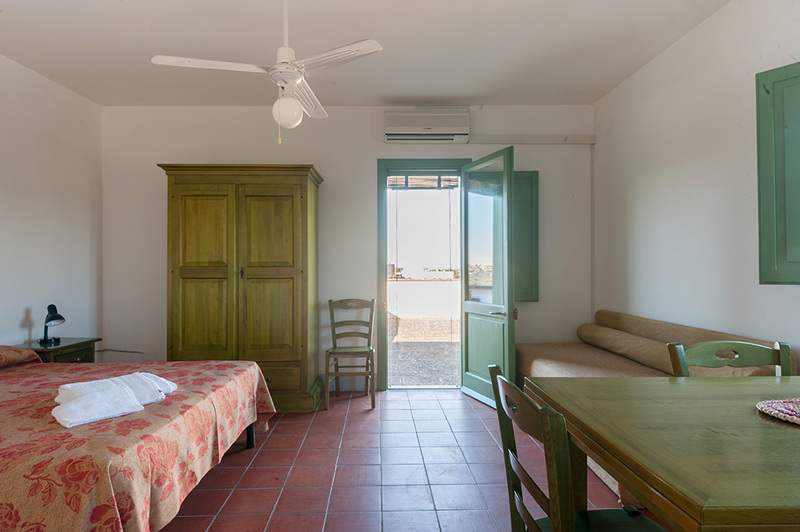 Flat n.41 has a double room with a ceiling fan, bathroom with shower, kitchenette and a terrace section. 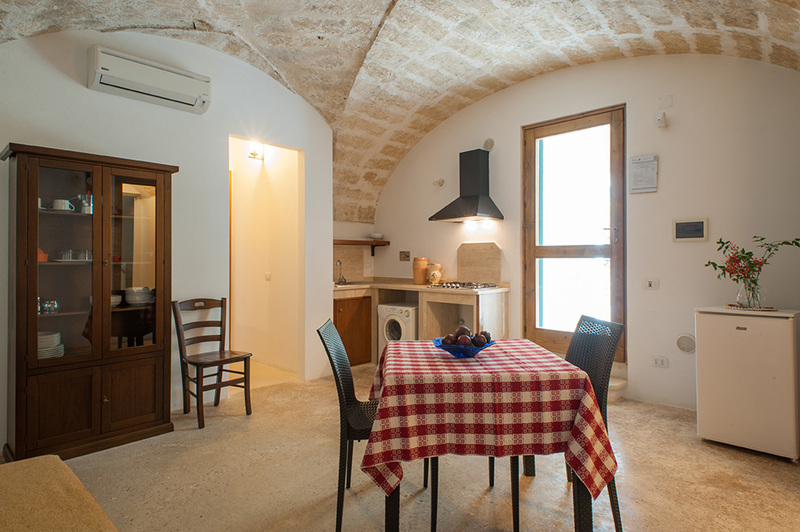 The one-bedroom apartment n.42 has three beds: a double room with a ceiling fan and air conditioning and a small living room entrance with a single sofa bed and air conditioning, kitchenette, bathroom with shower and a terrace section. The apartments, as well as already specified, all have current drinking water, refrigerator, crockery and cutlery. List prices are for 2 people. The premises are not accessible to people with disabilities, because of steps and lack of lift. Information and reservations: telephone and fax 0833.281070.